For Mary Jones, the tea business hasn’t always been easy, but that hasn’t stopped her from taking it on with personal flair. On Saturday mornings, 63-year-old Mary Jones gets up around 2 a.m. and heads to Eastern Market. At her booth in Shed 3, she unloads dozens of bags of loose leaf tea with names like “Redbird,” “Balance,” and “All For You.” She arranges them alongside tea accessories and candles, says a brief meditation, and by 6 a.m., “The Tea Lady,” as she’s known around here, is ready to greet visitors with piping hot samples and to share the stories behind her handcrafted teas. That philosophy is fitting for a business that’s grown at its own pace. 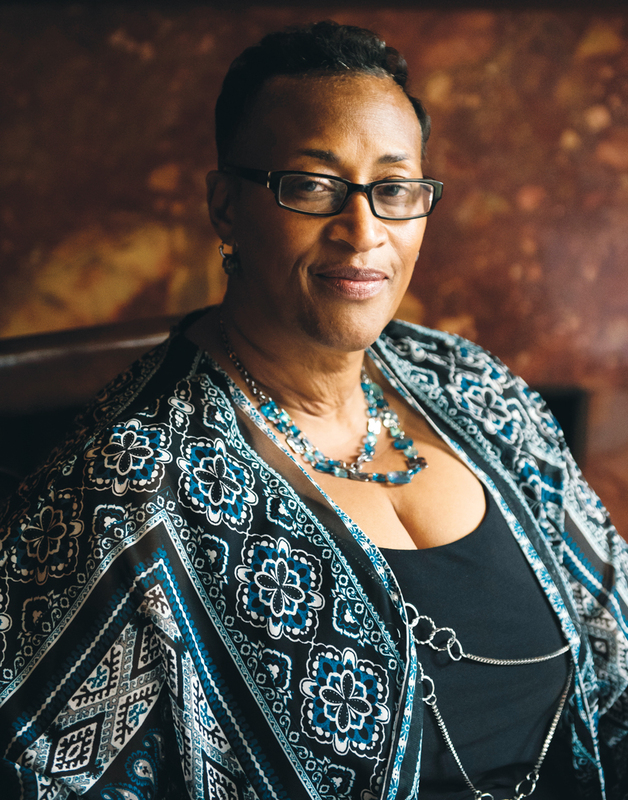 Jones first presented her concept for Intu in the early 2000s at the newly formed TechTown, where a two-year program helped her develop a business plan and market her product. But the endeavor wasn’t as successful as she’d hoped. Over the years, Jones continued to take her teas to places like Canterbury Village in Lake Orion and the International Women’s Expo in Novi. Along the way, she endured professional and personal setbacks: a business plan that took some re-tooling, a business partner who took off with some recipes, and a string of health issues that led to two rotator cuff repairs and a titanium brace implanted in her neck. Throughout it all, tea has remained a source of healing for Jones. When Jones’ husband, Charles, was diagnosed with cancer in September 2006, caring for him became her full-time commitment, and she put Intu on hold. In 2013, after Charles passed away, she re-focused her business and developed a tea dedicated to her late husband. Today, Redbird is Intu’s most popular tea, the top seller of about 50 others that Jones blends in the commercial kitchens at Bushnell Congregational church in Detroit’s Grandmont-Rosedale neighborhood. The teas are sourced from estates all over the world, but exactly where, Jones won’t say. “If I tell you that, I’d have to kill you,” she says with a smirk. Intu’s blends range from standard tea menu selections to bold, original flavors. 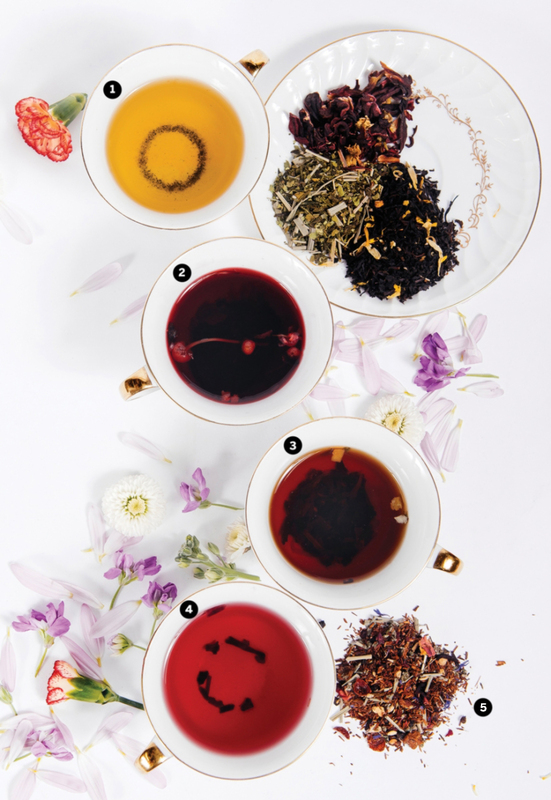 Alongside familiar earl greys and oolongs, Jones’ repertoire includes creations like “Peach Apricot,” a fruit-filled black tea, and “All For You,” an herbal tea with rooibos, lemongrass, and more. Other teas include ingredients like chili pepper, ginger, vanilla, and chocolate. 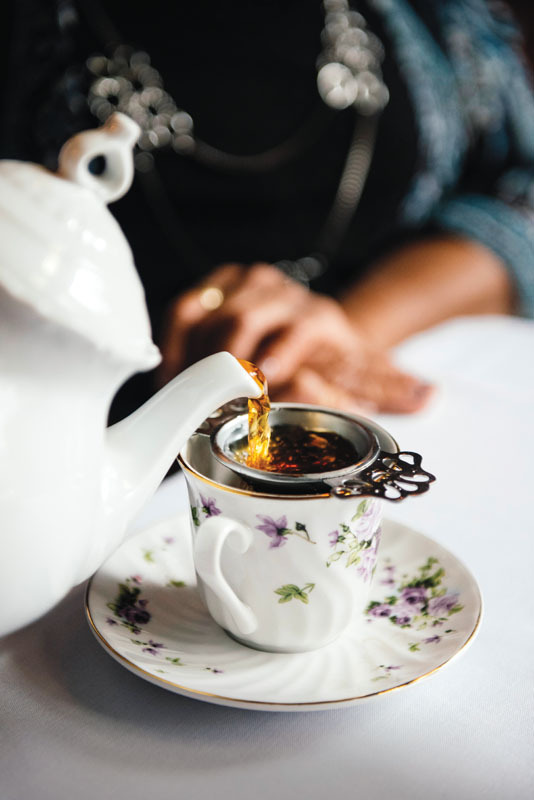 In addition to Eastern Market, customers can find Intu teas at Brooklyn Street Local in Corktown, the Exquisite Corpse Coffee House in Port Huron, and The Whitney in Detroit, where Jones was invited in 2015 to revamp the mansion restaurant’s tea program. 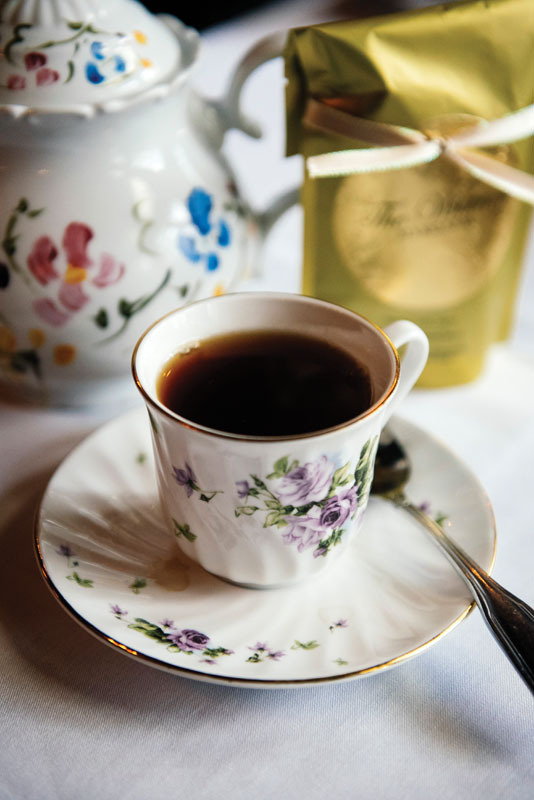 As part of her role at The Whitney, Jones has created several Whitney house blends including a “Garden Tea” inspired by the mansion’s garden. 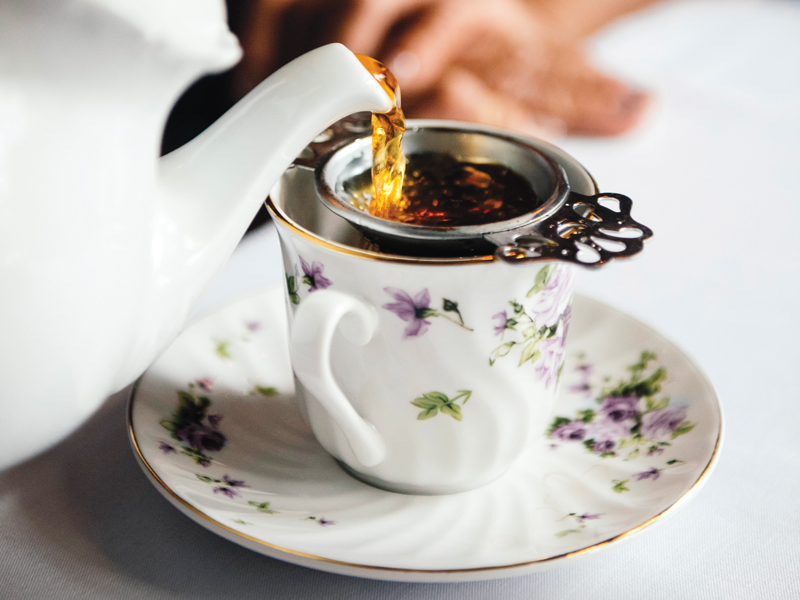 Throughout the year, Jones also hosts specialty teas, including afternoon teas, holiday teas, and a Valentine’s Day tea called “Aphro-tea-siac,” where she elaborates on the “passionate” side of tea. Elsewhere in the community, Jones shares her experience as a small business owner with budding entrepreneurs. In recent years, she’s teamed up with L’Anse Creuse Public Schools in Clinton Township to serve as a guest speaker in an entrepreneurial program. But even with her collaborations throughout metro Detroit, there’s still room for Intu tea to grow. And as other tea vendors have come and gone, Jones says that her knowledge of her product is what helps her persist. 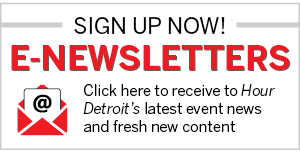 For more information, call 248-893-7636 or visit intutea.com. With unique ingredients and creative combinations, Mary Jones’ Intu teas are full of intriguing flavors. But just as intriguing as the teas themselves are the stories and inspirations behind them.